Elvis Presley owned and worn ivory Munsingwear pajamas with orange piping. 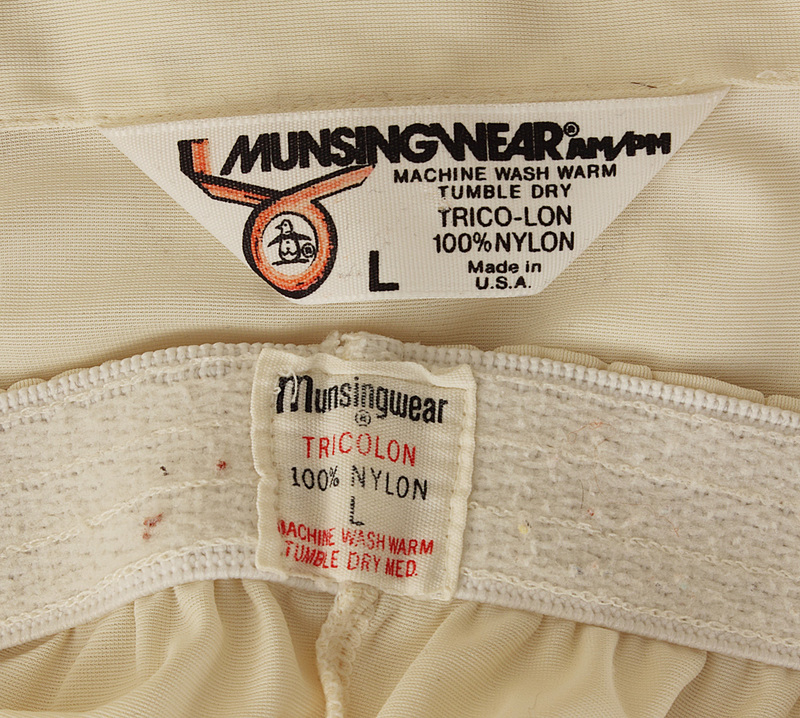 Both the top and the bottoms bear the Munsingwear labels. The pajamas show wear and are in good condition. Elvis gifted the pajamas in 1973 to Judy White, an employee at the Las Vegas Hilton Hotel at that time. One of Judy's main roles was to provide room service to Elvis and his entourage, and she kept the pajamas in her possession for almost forty years. Accompanied by a letter of authenticity from Judy White and a Gotta Have Rock & Roll™ Certificate of Authenticity.